Is Pakistan's growing population a "disaster in the making"? Is it a bigger disaster than the population bust in Europe and East Asia with their aging societies and shrinking labor force? Where will the investment in education, health and job creation come from in Pakistan to meet the growing population? 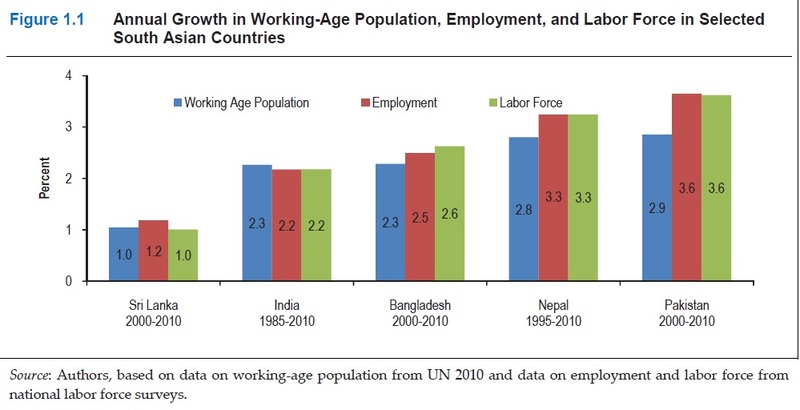 Is there a demographic dividend with Pakistan's labor force growing faster than the overall population? Will growth in labor force help increase domestic savings rate in Pakistan? What is the relationship between GDP growth and job creation? What is Pakistan's employment elasticity relative to other nations in South Asia? Who are the Rohingya? Why are they being attacked, raped, killed and driven out of their homes in Rakhine state? Why is the Myanmar government and its allied Buddhist militias, including monks, burning Rohingya villages? Is it a "textbook example of ethnic cleansing" as described by the UN Human Rights chief? Why is Nobel Peace laureate Myanmar leader Aung San Suu Kyi defending these actions instead of using her authority, at least her moral authority, to end this nightmare for the Rohingya? What is the world doing about t? 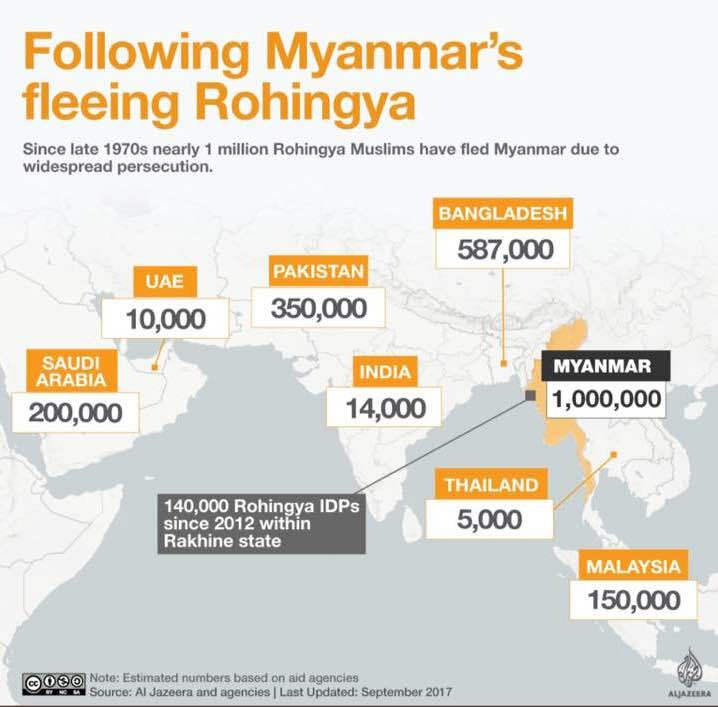 What can and should Pakistan and other Muslim nations do to help their fellow Muslim Rohingya? Where's the Real Population "Disaster in the Making"? Pakistan or West? Six-member delegation from China's Hi-Tech Group, a state owned company dealing in textile and energy generation machinery, Tuesday visited FPCCI and had sector specific detailed discussion with their counter-parts on, how to upgrade Pakistan's textile industry especially the spinning mills. Eighty percent of yarn and other textile products will be re-exported to China for value-addition to sell the finished good at better prices in international market, Pakistani businessmen were informed. Led by Executive Director of the Group, Shaohul Zhang, the Chinese delegation is on 5-day visit to Pakistan from September 17. On Wednesday, they would fly to Lahore for business sessions with the textile industry people. Acting President, Federation of Pakistan Chambers of Commerce and Industry, Manzoor-ul-Haq Malik and senior leader of FPCCI and a leading textile industrialist and exporter Dr. Mirza Ikhtiar Baig along with other senior businessmen welcomed the Chinese team at the Federation House. Mr. Malik and Dr. Baig led the FPCCI team. Chinese were keen to enter joint ventures for modernization and upgrdation of Pakistan's spinning mills to make these cost efficient and competitive, Mr Zhang said. They wanted to start with installing one million spindles at least at one spinning mill, which was the lowest benchmark for a spinning mill in China. Whereas, in Pakistan majority spinning mills had spindles only in hundreds. For such large size spinning mills, China's Hi-Tech Group would help set up power plants to meet its power consumption demand at very reasonable price. Spinning mills are the largest power consuming industry. Head of the Chinese delegation informed that China wanted to relocate its textile units to Pakistan to benefit from Pakistan's low paid and well-experienced textile labour. Chinese investors were ready to set up their textile mills in Pakistan, mostly under joint ventures, especially at Special Economic Zones linked to China- Pakistan Economic Corridor (CPEC).
" We can contribute in power supply at very favourable price. There can be very good partnership in spinning mills and power plants owners," he remarked adding that give us land, we will bring textile machinery here. He claimed that China's textile machinery was more suitable for Pakistan against that of Germany and Switzerland. He said under the proposed programme, most of the small Pakistani spinning units would have to be shutdown as those were not cost efficient and led to wastage of very good quality cotton stock. The main points harvested from the meeting were : there was a big demand in China for Pakistani yarn-- Pakistan should produce 8 singles cotton instead of 6 singles. Cotton yield per acre should be increased-- China wants Pakistan to shift to an economy of scale including large size spinning mills, and Chinese investors were very much interested to become partners in textile -- Pakistan's textile sector needs to corporatised instead of being confined to as family businesses. These should be listed with Pakistan Stock Exchange as public limited companies -- the policies were required to protect the existing local textile industrialists and that even the existing textile units could continue profitably if those were not be re- located-- eighty percentage of the textile products would be re- exported to China for value addition. China was the large market for yarn and Pakistan could capture a big share-- Pakistan textile sector should contact Chinese government for the support including easy financing.